Now when Magic Kingdom guests go behind the curtain at Town Square Theater to meet everyone’s favorite mouse, Mickey will have some extra magic in store for them. 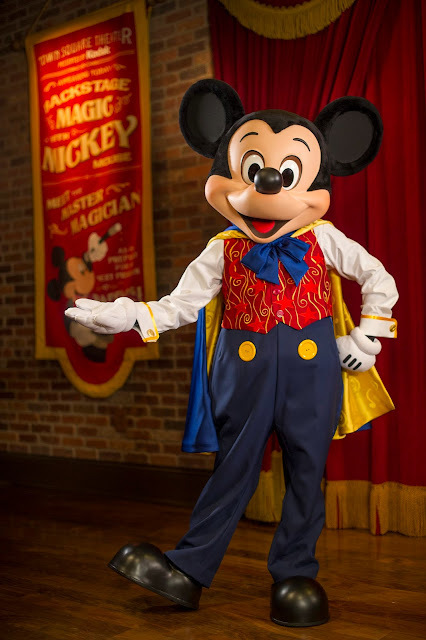 Dressed in his finest magician duds, Mickey Mouse greets guests in his rehearsal room amid posters, steamer trunks and stage props from his magical career in theater. The greatest magic of all happens when Mickey Mouse speaks with guests before helping them create even more memories with photos, autographs and hugs. 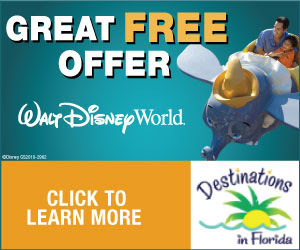 While this opportunity to meet Mickey Mouse is unique to Town Square Theater, guests can have conversations with some of the most beloved Disney characters throughout Walt Disney World Resort. At Magic Kingdom for example, guests can interact with the stars of the Monsters Inc. Laugh Floor in Tomorrowland and the Disney Princesses at Princess Fairytale Hall in New Fantasyland. And at Epcot, guests can chat and joke with Crush from Finding Nemo during “Turtle Talk with Crush” at The Living Seas.